For Qin Taixiao, old age is a time of loneliness and back-breaking labor. 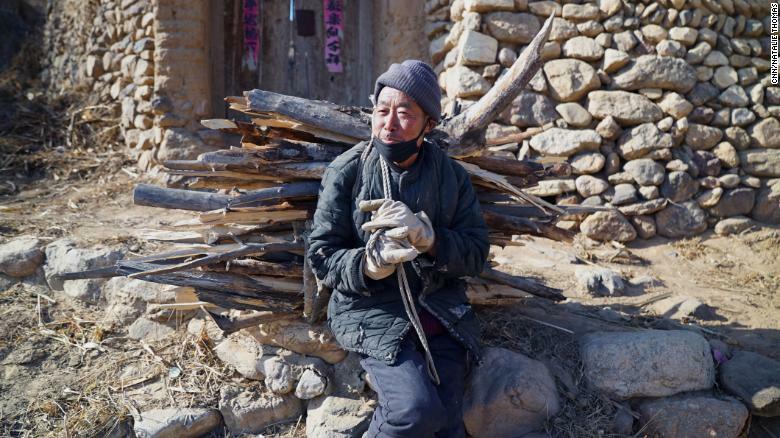 68-year-old Qin Taixiao gathers two bundles of wood every day from a nearby forest to save on heating costs. His steely stoicism fades only when talking about his favorite time of the year — the Lunar New Year. The week-long holiday is the only time he sees his three children. Like many others, Qin’s children left the village years ago to find work, joining the relentless current of China’s great urban migration spurred by its economic boom. 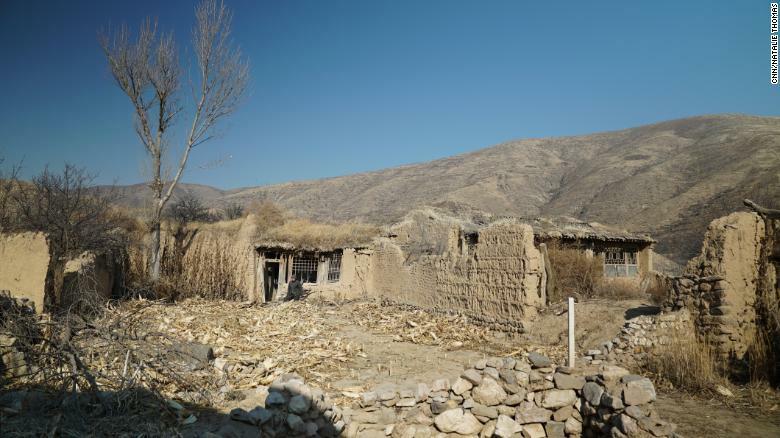 Hundreds of millions have moved to cities in recent decades, leaving behind empty villages. Qin’s problems are typical of those facing millions of families. China’s population is aging extremely quickly, and many elderly people aren’t sure if the country or their children will be able to support them. 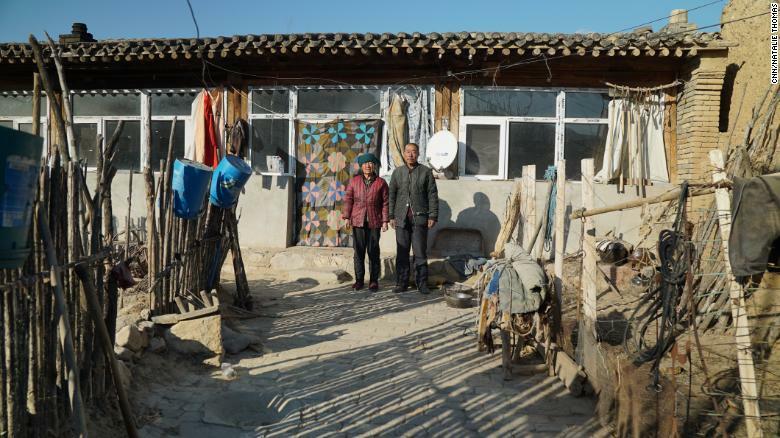 Qin Taixiao (right) and his wife Sun Sherong have spent almost the entire year alone in their secluded village. By 2050, more than 34% of China’s citizens are projected to be more than 60 years old, according to the country’s National Working Commission. That will amount to almost 500 million people, nearly twice as many as today. The nationwide effects of a decline in the working-age population could be drastic and wide-ranging. Experts have long warned China could “get old before getting rich” as the aging population becomes a drag on economic growth. And with fewer working people contributing to the government’s coffers, the stress on Beijing’s finances will become increasingly acute. “For the next few years, the number of elderly people will grow by millions annually, indicating that each year, fewer and fewer people will be contributing to social welfare that will have to be shared across a greater number of recipients,” Yuan Xin, director of the Nankai University Aging Development Strategy Research Center, told Caixin, a Chinese financial magazine. Not only will the government be stretched providing for the elderly, some studies suggest that citizens themselves aren’t saving enough for their own retirement. At the end of 2017, Chinese workers collectively held around $1 trillion in savings, according to the Ministry of Finance. Coming in at about $4,000 per person over age 60, that’s likely not enough for a country soon to have hundreds of millions of retirees. By 2050, that’s expected to shrink to just 1.3 to 1. The rapidly aging population is largely due to China’s notorious one-child policy. Birth rates plunged after it was introduced in 1980, leaving young people taking care of their elders but unable to share the burden amongst siblings. The policy was eased in 2016, with two children now allowed, but it hasn’t sparked a baby boom yet. In a 2017 editorial in the state-run Global Times, Xi’an student Wang Yihan said the one-child policy had put huge pressure on only children to support their aging parents, who believed they had sacrificed for their child. “‘How does it feel to be the only child?’ is a question asked (online) … and the most popular answer is ‘Dare not die, dare not marry someone far from home, eager to earn money, because they only have me’,” Wang said. Many of those young people who left the villages over the last several decades, like Qin and Sun’s children, did find better salaries. But many children fear they still aren’t earning enough to comfortably take care of their parents. But one day, hauling 100 kilograms of firewood a day will become physically impossible. Qin’s lingering cancer could worsen. Sun could slip and fall. When that day comes, like so many other aging Chinese citizens, they’ll have to turn to their kids for help. Whether society as a whole can afford that is one of China’s great questions for the future.